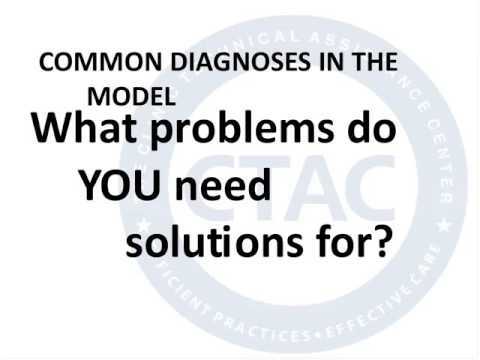 Module 9 outlines how to diagnose key problems and identify solutions within the Financial Benchmarking tool in order to structure a plan of action and inform your strategic plan. Three examples are discussed: productivity (conceptualized as the ratio of billable to non-billable hours), indirect costs and payer mix. The training reviews how to identify which variables within the Financial Benchmarking Tool can be adjusted to model potential changes in clinic operations, such as the ratio of direct vs. indirect care staff and the number of hours in a work week. Once a specific problem and related solution has been identified, the next step in the change process is to prioritize next steps and set attainable goals. Visual frameworks are discussed as a potential tool to aid in this planning process.